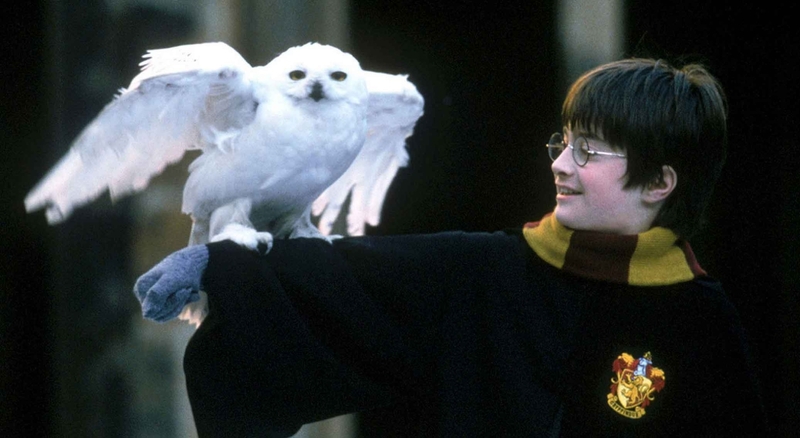 Harry Potter and the HBW Checklist: What is a species? At some point last year, I realized that my house had become inexpectedly flooded with tasteful brochures advertising an upcoming bird book. I’m not even sure how so many of these documents had ended up in my office – possibly in birding magazines, by mail, via people who thought I might be interested in the book, or spewing through the chimney like Harry Potter’s multiple invitations to Hogwarts. 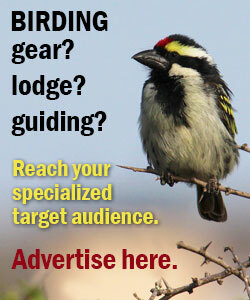 The ad featured the logos of BirdLife International, and Lynx Edicions, the Spanish publisher responsible for the remarkable, 16-volume Handbook of the Birds of the World series (HBW). BirdLife and the HBW team’s premise was simple. 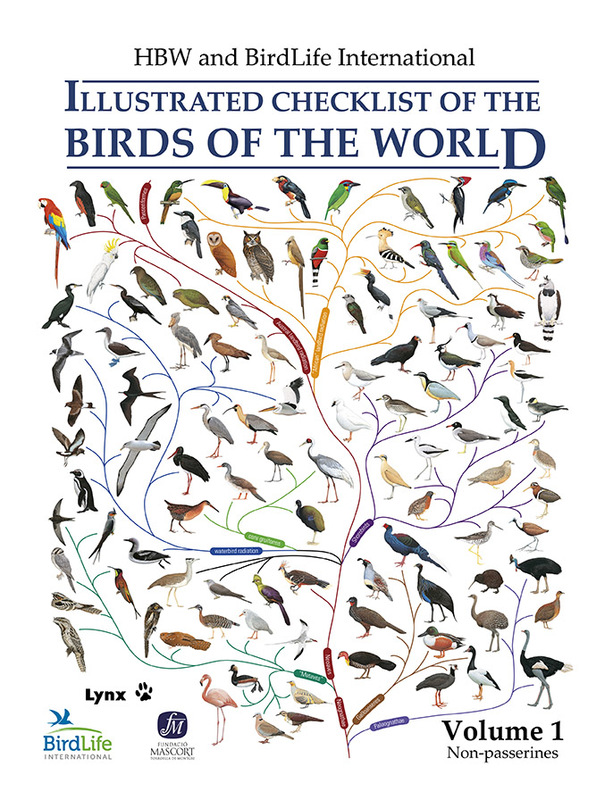 They wanted to produce a checklist of all the birds in the world, featuring the generally breathtaking artwork of HBW and a condensed text for every single species. 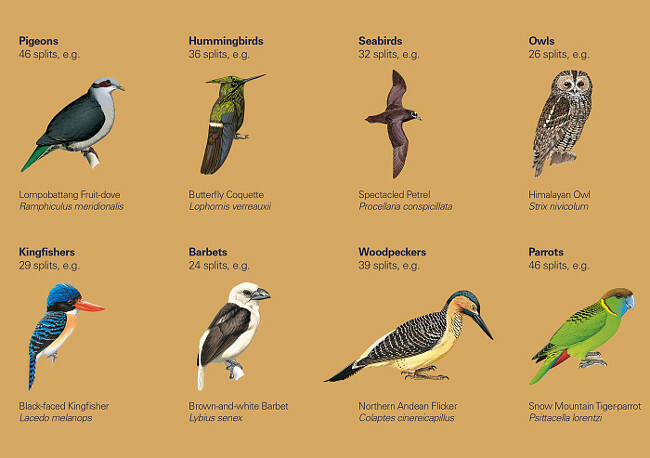 Imagine that – every bird in the world, in one book! Actually, two books. 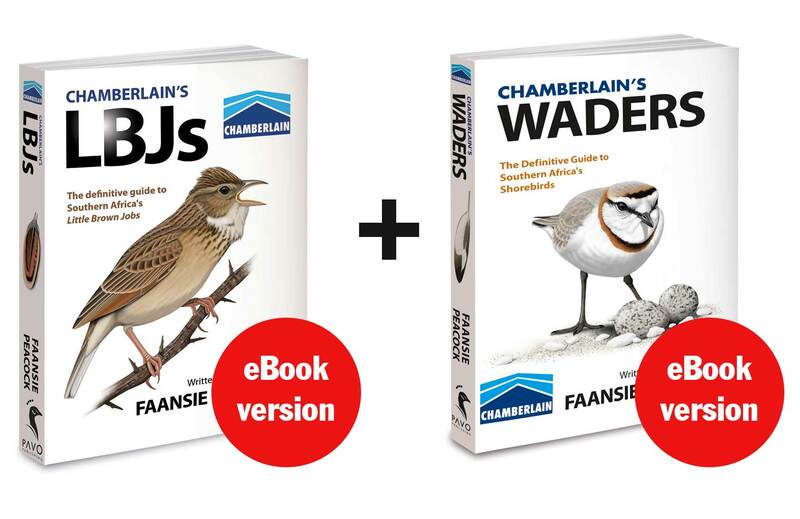 The publishers decided to split The Checklist into two volumes, and the division between non-passerines and passerines made a convenient half-way division. For months I was taunted by the pamphlets littering my office. Just image: all the (non-passerine) birds in the world, each one illustrated, and with a distribution map, taxonomic summary, list of subspecies…but at a hefty €185 (approximately R2,600). Then last week a birding buddy asked me to come over for a visit, mischievously hinting that he ‘had a little gift for me’. I haven’t been able to put the 904 page tome down since then (my arms are killing me, but it’s worth it). What is a species? This deceivingly simple sequence of four words forms a question so basic that even my three year old son may ask it. However, providing him with an answer is virtually impossible. After centuries of research, spanning the academic careers of thousands of grey-bearded biological theoreticians, we still simply don’t have an easy answer. ABOVE: The attractive cover of the first volume of the HBW / BirdLife International Checklist depicts the relatively stable higher-level classification of bird orders and families. (Image: Lynx Edicions). This is testament to the unimaginably vast and complex array of life-forms on this planet, most of which we haven’t even met yet. Evolution, through natural selection, is slowly but inexorably unfurling new leaves on the tree of life at temporal scales far too long for the human mind to truly comprehend, and spatial scales varying from the sunny vs. shady side of a single tree’s trunk, to shifting tectonic plates. In 1942 Ernst Mayr defined the Biological Species Concept, which quickly gained nearly universal acceptance (to the point that it even has its own abbreviation; BSC). This was in part due to its convenient simplicity in defining a species. Essentially, reproductive isolation is the BSC’s critical criterion: ‘species are groups of actually (or potentially) interbreeding populations that are reproductively isolated in nature from other such groups’. Essentially this means that if two taxa hybridize, they are not different species. By the way, taxon/taxa are neutral terms for any biological classification unit. This sounds logical enough, you may argue, and in many cases it is. The BSC deals well with populations of animals that live in the same places (sympatry) or habitats (syntopy). If two respective populations can live together without interbreeding and watering down their phenotypic (physical) or genotypic (genetic) integrity, then they represent different species, otherwise they wouldn’t exist. For example, Yellow-billed and Red-billed hornbills are often found directly alongside each other, with plenty of opportunity to interbreed. Yet they don’t. Otherwise, over time, the two discreet species would be replaced by a different, single species – perhaps the Orange-billed Hornbill. One of the main problems with the BSC is that hybridization is actually far more common than one might think, with some estimates suggesting that at least 9% of all bird species have interbred in the wild. Secondly, what about populations that would never come into contact in the wild, due to having discreet distributions (allopatry), perhaps because of a physical barrier such as a river, mountain range, desert or ocean, or perhaps because of differences in ecology? Experiments in captivity may pose a solution. However, they are not only impractical, but cannot necessarily be trusted, as animals may behave very differently in artificial conditions. 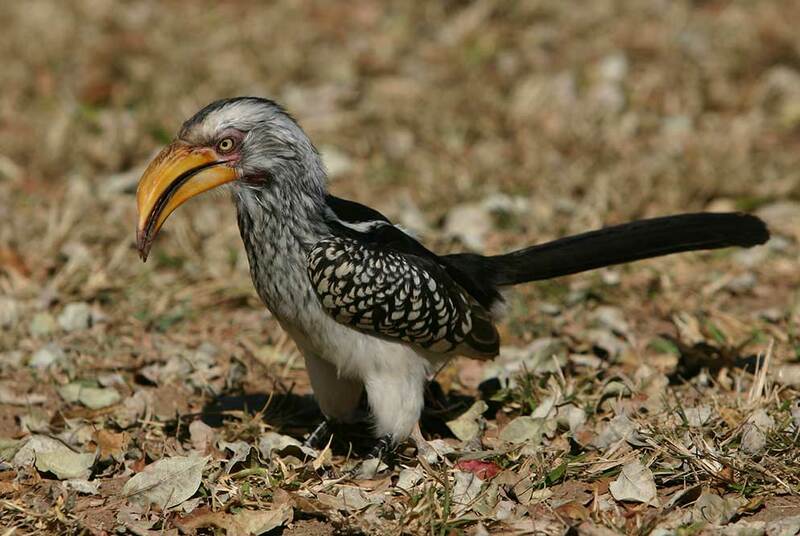 ABOVE: The Checklist treats the Southern Yellow-billed Hornbill Tockus leucomelas as a different species than the Eastern Yellow-billed Hornbill T. flavirostris of East Africa, based mostly on differences in voice and bare part colours. (Image: Grant Peacock). Okay, so what’s the alternative? Such problems and counter-arguments have led to a large number of alternative species definitions, with the best known arguably being the Phylogenetic Species Concept (PSC), introduced in 1983. Here the critical factor is not reproductive isolation, but diagnosability. This is to say that if a population possesses unique characters that can be consistently discriminated, that population represents a ‘monophyletic terminal taxon’ with its own evolutionary lineage, i.e. a leaf in the evolutionary tree, and is a species. As a result, consistently identifiable subspecies are all afforded species status under the PSC. Conversely, populations (‘subspecies’) that do not have consistent discernable differences are not considered valid taxonomic entities. An example of the latter would be a sample randomly taken from a cline – a gradient of subtle change in a character across the geographic range of a species. 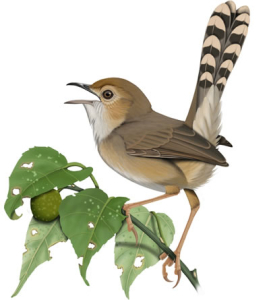 The PSC therefore renders subspecies obsolete, and if strictly applied, would result in a world bird list of around 25,000 species (as opposed to the current 10,000). But how close do you want to look? One problem with the PSC is that our ability to differentiate diagnosable characters is not fixed. With increasingly sophisticated technology we can define finer and finer differences in characters. Also, we as humans see birds very differently to how they see themselves. For example, birds are able to see ultraviolet light, and many species have additional markings that are revealed in UV, but are not visible to the human eye. Also, and here I can already hear a collective groan from the birding community, some birds may be outwardly identical, but have small (but consistent, and therefore diagnosable) differences in their genetic code. So essentially, the closer you look, the more you’ll see. And the more likely you are to find some character that will define a population as a species under the PSC. 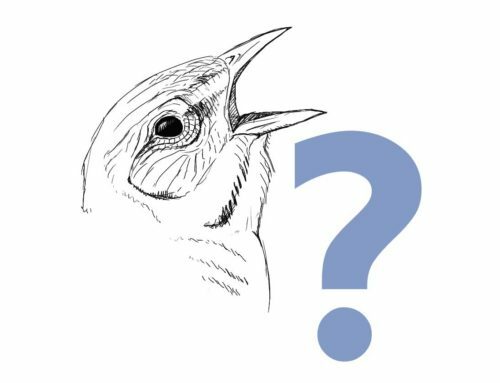 Especially since the development of technologies to incorporate genetic information in taxonomic arguments (since the 1980s, but especially in the last decade or so) there has been an increasing trend for ‘splitting’ birds into new species. Such splits often rely on increasingly tiny differences between ‘species’. And who doesn’t love a new split? Chances are that you’ll get a nice new ‘armchair tick’ to add to your lifelist. Despite scientists’ commitment to impartiality, academics that perform such studies, especially when they require huge investments in time and money, also feel subconscious pressure to interpret their finding in such a way as to reveal new species. Thirdly, elevation of a subspecies to species-level results in more resources being allocated to conservation and study of that taxon. All of this, together with the speedy domino effect by which newly proposed splits pass unchallenged into the popular literature can be alarming. 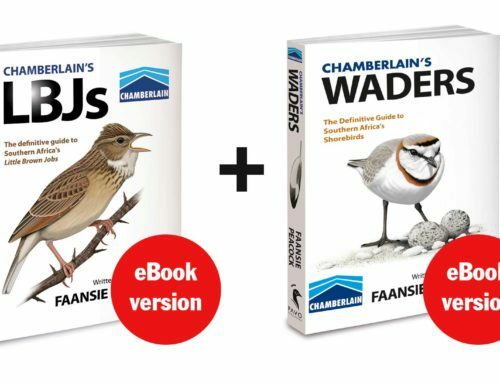 It takes only one hasty decision by a publisher to include a ‘new species’ in a field guide, and that species will be accepted without question and almost irrevocably engrained in the minds of birders. And who can blame them? 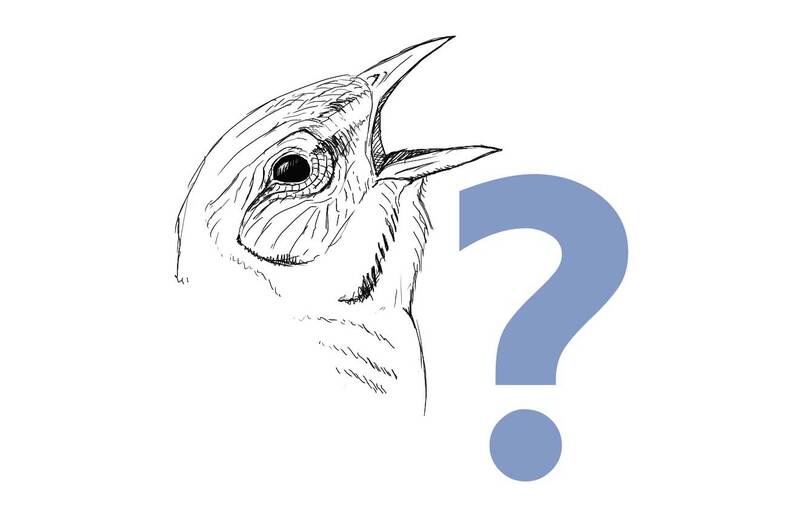 Every amateur birder cannot be expected to conduct his or her own critical analysis of newly proposed taxa – we accept what the book says, and assume that the decision was based on sound research. A dangerous assumption, I’m afraid. Just from a southern African perspective, some splits that turned out to have been overly optimistic and premature, include the now obsolete ‘Kimberley Pipit Anthus pseudosimilis’, ‘Long-tailed Pipit A. longicaudatus’, ‘Agulhas Clapper Lark Mirafra marjoriae’ and Levaillant’s mysterious ‘Namaqualand Clapper Lark M. rufopilea’, as well as Cinnamon Reed Warbler Acrocephalus cinnamomeus’ and ‘Purple Widowbird/Whydah Microchera haagneri’. 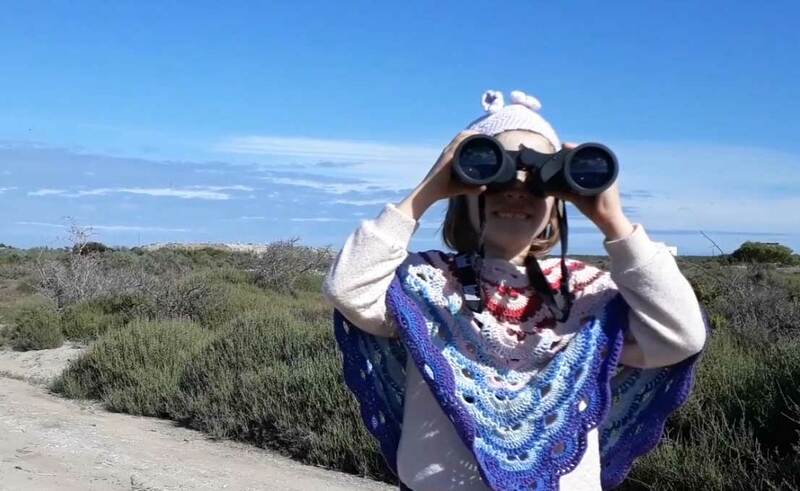 Although not widely known to the birding community, we recently also came very close to getting a new species of scrub robin! Not all of these were rejected because of erroneous application of species definitions of course; the ‘Purple Widowbird’ turned out to be a hybrid between an indigobird and whydah. And who doesn’t love a new split? Chances are that you’ll get a nice new armchair tick for your lifelist. 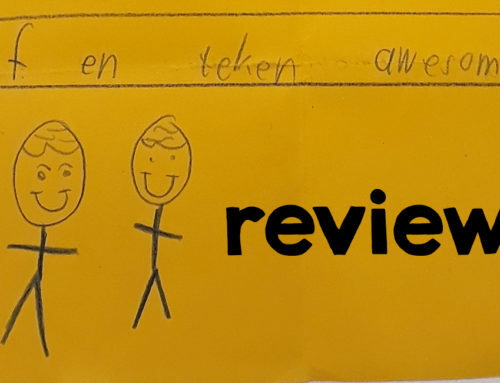 This is probably a topic for a whole new blog post, and I still have some errands to run later this afternoon, so I’ll just make some brief comments. We must first understand that life is continually evolving, and that division of life forms into taxonomic units such as species and subspecies is merely an artificial way for humans to make sense of life’s diversity. Despite the PSC’s rejection of the subspecies concept, the subspecies rank is a useful unit to understand within-species diversity in the continuum of evolution. In a way, subspecies give us an early warning that those populations are embarking on their own evolutionary path that will one day, in a few millions years or so, lead to a completely new species. This is an important motivation for the conservation of subspecies, as well as species! The Checklist agrees, and makes a compelling argument for the retention of the subspecies rank. In fact, one of the book’s greatest attractions of The Checklist is its depiction of all major subspecies in the plates. The authors are quick to point out that their already monumental work is focused primarily at the species-level, and that time and resources did not allow a critical, in-depth re-evaluation of the validity of all proposed subspecies. However, a succinct commentary is still provided on the various subspecies proposed under each species. One interesting hypothetical case argues against the merits of the PSC (illustrated below). What if the middle section of a cline of variation went extinct, leaving only two disparate populations from the two ends the variation spectrum? In the absence of an intermediate form between two such extremes, they would be classified as species under the PSC. In reality there was loss of actual biodiversity, but measured biodiversity increased! Tsk, tsk. ABOVE: A simplified explanation of clinal variation. In many bird species (a prime example being southern Africa’s larks) variation occurs gradually across a long gradient spanning the distribution of the species. In southern Africa, within the same species, individuals from moist eastern woodlands are often much darker and more streaked than individuals from the arid western regions. Often a plethora of subspecies are defined to try and deal with such variation. But in the absence of distinct cut-off points or geographical barriers, where does one subspecies stop and an adjacent one start? 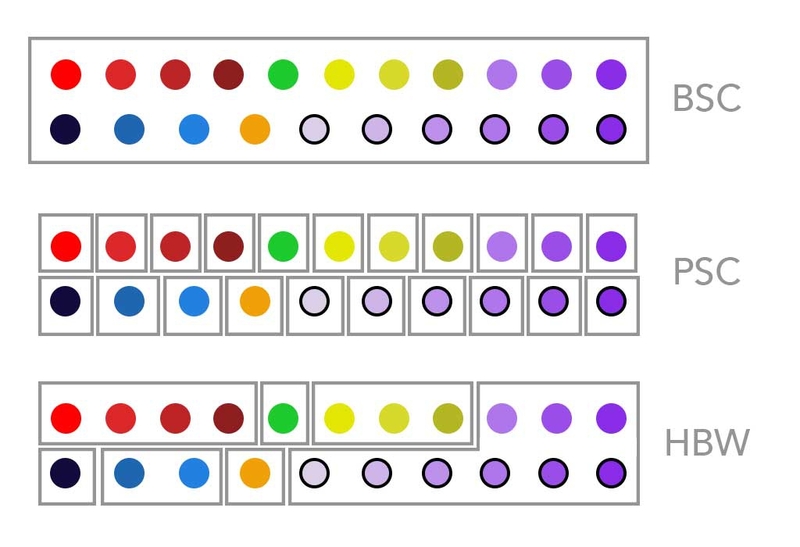 If you compare only samples from the two extremes of a cline (such as the lower two dots) the variation is striking, sure; but then you are disregarding all the intermediate transitional variations. In my opinion, such species should probably be monotypic! I’m confused – what is a species then!? So if the BSC and its limitations in regards to interbreeding is not the answer, and the PSC with its over-splitting based on diagnosable characters is not the answer, how do we define a species? Do not feel alone – this is a question that many biologists are struggling with, and why I can’t give my son a straight answer. There have been some commendable efforts to reach a middle ground, such as the Comprehensive Biological Species Concept. Also, nowadays there is greater emphasis on splits supported by multiple characters. The question now becomes ‘how do we interpret the significance of differences?’ The problem is that different taxonomists allocate different weights to variations. Professor Minerva McGonagall might consider a slight colour hue difference between two cisticola populations as a diagnostic difference indicative of being different species, while Professor Albus Percival Wulfric Brian Dumbledore might think they should merely be classified as subspecies. Party pooper Severus Snape might counter that this is just clinal variation, and that the species is monotypic (one species, without any subspecies). The fundamental problem is that there are no fixed criteria to define these different classification levels. Each taxonomist has his or her own view on how different two things have to be before they are different enough. And this problem is particularly relevant in regards to genetics! Surely genetics/molecular data is an objective and reliable way to define a species? Yes, and no. Firstly, a large phenotypic (physical) difference does not necessarily correspond to a large genetic difference, and vice versa. Remember that molecular genetic studies typically look at only a tiny fragment of the entire genetic code of a bird, and studies have shown that a detectable signature of an outwardly difference might not be obvious in the sampled gene. In nearly all earlier and many modern genetic analyses, the favourite gene-of-choice was mtDNA. This Draco Malfoyian data packet was initially the golden boy of genetics, but has now grown into a rebellious teenager. MtDNA is derived from mitochondria, tiny organelles located in cells that help convert food into energy, and is inherited only from the mother. Mitochondrial DNA has a very limited amount of base pairs (the information units in genetic studies, denoted by the letters G, A, T and C) compared to nuclear DNA though, but a rapid mutation rate that makes it useful for phylogenetic studies. There are many limitations to using MtDNA however (most of which I don’t understand), and nuclear DNA for that matter. Some researchers are now strongly opposed to using mtDNA, and are today questioning even their own confidently published findings of a decade ago. This Draco Malfoyian data packet was initially the golden boy of genetics, but has now grown into a rebellious teenager. The authors of The Checklist provide some fascinating and shocking examples. Two populations of Common Redstarts Phoenicurus phoenicurus in Germany, despite lacking any apparent difference in appearance, differ by as much as 5% in their mtDNA signatures. Conversely, a whole series of monarch bird species (Monarchus spp.) with strikingly different plumage and calls differ by only 2%. 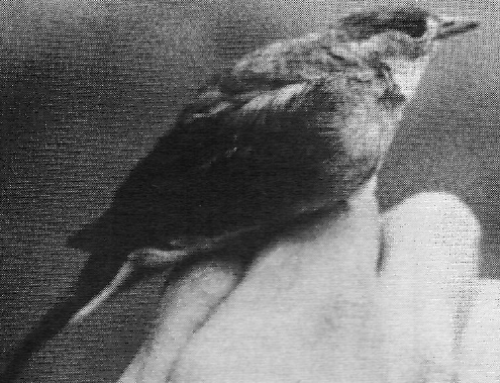 Likewise, Common Swift Apus apus and Pallid Swift A. pallidus, which are universally considered different species, are genetically indistinguishable (at least based on the sampled genes). So where do we draw the line? 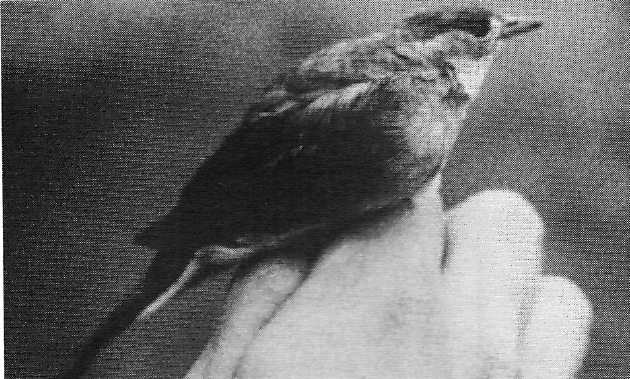 The bottom line is that a worldwide bird checklist, defining species based only on genetics, is not even remotely possible at this stage. Molecular data have, at the higher taxonomic levels of order and family, revealed a relatively stable framework (but only from as recently as about 2008). But at the species-level, not even to mention the subspecies-level, genetic data need to be interpreted with caution. So, still no joy. We’re still stuck with the same question, namely how do we objectively define what constitutes a species? Tobias et al. to the rescue! In October 2010 a team of evolutionary biologists from the universities of Oxford and Cambridge, together with BirdLife International, published a 23-page paper in the Journal Ibis (available here). The article is entitled ‘Quantitative criteria for species delimitation” and is cited in the literature as as Tobias et al. (2010) – the team of authors was led by Joseph Tobias, but also includes our own Cape Town-born Claire Spottiswoode. The team proposed an innovative, objective method for assessing whether taxa are species or not, based on allocating a numerical score to various characters: if the score is 7 or greater, you’ve got a species. If not, then no cigar. Simple, robust, transparent, objective. The HBW/BirdLife International Checklist courageously, but in my opinion very wisely, adopted this single taxonomic adjudication system as the basis of all the species definitions in their book. ABOVE: Different species definitions can have dramatic results! This example is based on the Rainbow Lorikeet Trichoglossus haemadotus complex, which is analysed in full on page 32 of the book’s introduction. Each circle represents a lorikeet taxon. Under the BSC this complex would be seen as a single species, with 21 subspecies. Conversely, a strict application of the PSC would define 21 monotypic species. The Checklist (HBW) employs a more fluid species definition, based on the Tobias criteria and a modified BSC; using quantitative measures, the lorikeet complex is divided into 7 species, of which 3 are monotypic (no subspecies) and 4 are polytypic (with subspecies). What characters do the Tobias critera consider? Exceptional difference e.g. a striking difference applying to a large area of the body, or any trait directly involved in courtship and mate choice. Distributional criteria are divided into 5 classes. Here it gets a little tricky. When comparing the degree of overlap in the distributions of two taxa, the following five categories are defined. Allopatry: if the two species have non-overlapping ranges, a score of 0 is automatically ascribed, as allopatry is not informative from an evolutionary speciation point of view. Sympatry: if the ranges of two taxa overlap and they still behave and look like two different species, then they are different species. So they automatically receive a score of 7. Broad hybrid zone: there is little resistance to phenotypic merging if the hybrid zone is 200 km or more in width; score 1. Narrow hybrid zone: there relatively high resistance to merging; score 2. Paraptry: the ranges of the two species adjoin, but there is little or no hybridization along the very narrow contact/overlap zone. The theory here is that the two species exclude each other in the absence of a geographical barrier; score 3. An important distinction here is that, apparently counter-intuitively, hybridization is treated as an argument against treating two taxa as the same species – quite the opposite of the BSC. The theory is that if two species hybridize, even frequently, but still retain their genomic and phenotypic integrity, without their genomes merging completely, they really are two different species. As I said, a little tricky to wrap your head around, but very logical nonetheless. What characters do the Tobias criteria NOT consider? Genetics, for a start. Although The Checklist does incorporate a wealth of information on differences and similarities in genetics, such molecular differences are not scored, and cannot help bring the taxon in question up to a score of 7. In addition the team of taxonomists responsible for the species-level decisions in the book had to find ways of incorporating evidence from a number of obscure characters: number of leg scales in rheas, feather stiffness and louse edemism in kiwis, bone morphology in petrels and egg colour in nightjars being some examples. Some of the cryptic tubenose petrels provided a special challenge, in that they seem to lack diagnosable differences in appearance altogether – simply put, they all look the same! How do these petrels mate with the right species then, especially when they return to their nesting islands at night, or are scampering around in their burrows? Probably by a combination of subtle differences in call and by using scent (think of how well chumming works!). 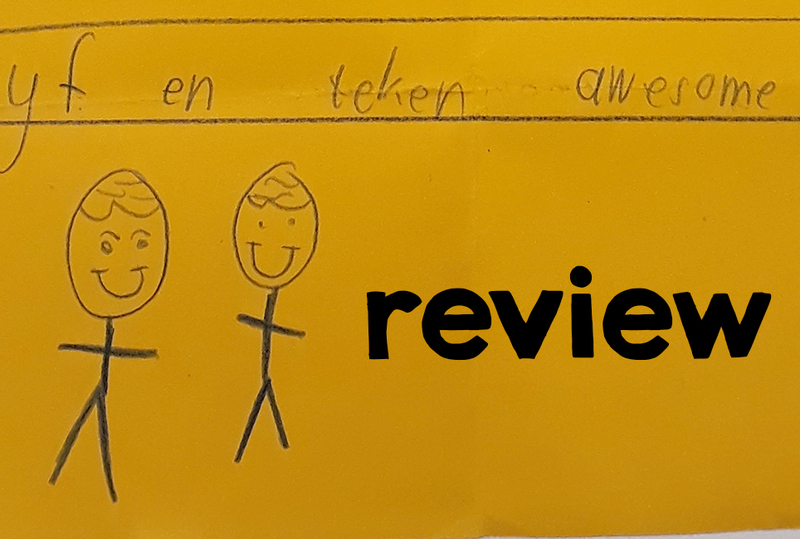 Vocal evidence needs to be interpreted with great care. Firstly, you want to make sure you’re comparing the same call between species, given that many birds have very extensive repertoires. Secondly, sample size becomes very important in birds that learn sounds from their environment, such as parrots. On the note of sample size, the Tobias criteria set n = 10 as a minimum sample size when adjudicating any criterion (whether physical or vocal). Obviously this is not always practical, especially in cases where the species is known only from a single specimen. There are twelve non-passerine taxa in this category, including the famous Nechisar Nightjar Caprimulgus solala. Spill! What were the results? Birders tend to be splitters, and not lumpers, and will consequently be glad to hear that splits outnumber lumps 15 times. Only 30 species were lumped (into 22), while 462 new splits are recognized (the book includes 4,471 non-passerines in total). 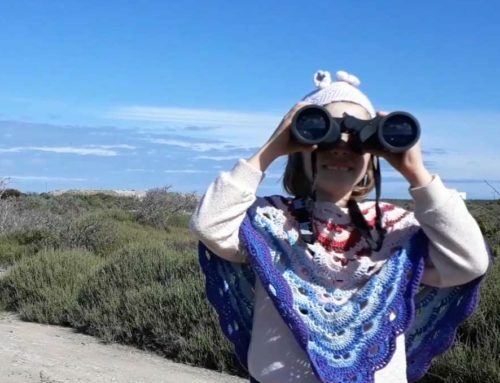 A few families in particular were shaken, not stirred, with over 20 new members each, among the pigeons, woodpeckers, hummingbirds, kingfishers, owls and parrots. The biggest proportional increases were in the albatrosses, motmots, kingfishers, toucans and barbets. Africa’s avifauna is now 10% richer in species, while Asia’s bird community has increased by 15%. For some more juicy specifics you’ll have to wait for the next blog post, which will be a combination of book review and lump/split spoilers. Thanks for reading this post – I hope you feel as enthralled by the magical diversity of our planet’s birds as I do! ABOVE: Some bird families appear to have been over-lumped in the past, the above prominent among them. I hope Lynx Edictions will forgive me for publishing this image from their website (click here to visit); more plagiarism to come in my review of the book, in the next blog post.